Excavators go by quite a few names -- diggers, track hoes, 360s, JCBs, and even rubber ducks. There’s quite a bit of terminology that goes with excavators, too. 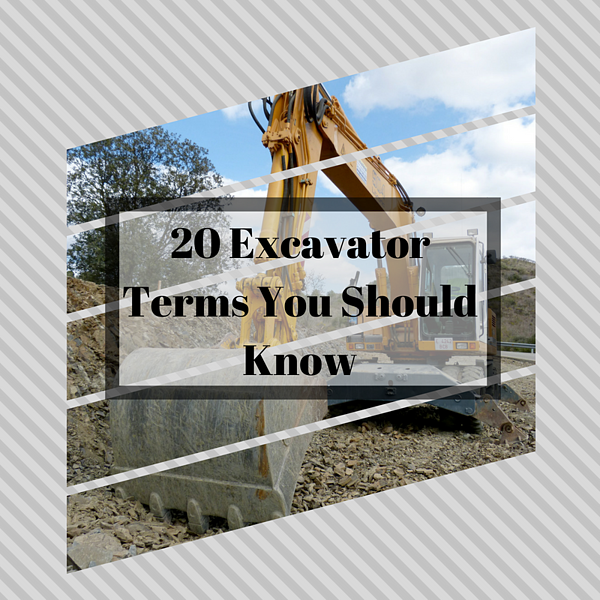 That’s why we put together this list of 20 common terms related to excavators that everyone in the industry should know. The backfill blade (sometimes known as a dozer blade) is a blade located at ground level between the treads or wheels. It’s primary use is to push excess material out of the way but it can also be to aid in anchoring the excavator in place. 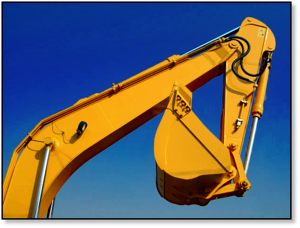 The boom is the angled arm that is attached to the excavator itself and the arm is pinned to the boom. The arm is sometimes called the dipper or stick. A knuckle boom can move right or left in line with the machine, unlike standard booms which can only move up or down. The bucket is located at the end of the arm, and is available in different styles for different purposes, such as GP (general purpose) buckets, rock buckets, and mud buckets. Ground clearance is the distance from the ground to the base of the undercarriage between the treads or wheels. 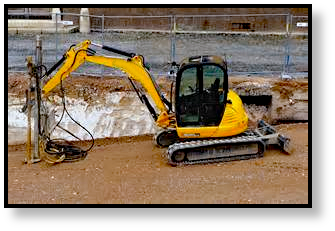 Ground pressure is a measure of how much the weight of the excavator is spread out by the undercarriage. Grousers are protruding rib-like structures (similar to tire treads) on the tracks of an excavator. Their purpose is to help increase traction. On an excavator, the house includes the cab, counterweights, fuel tank, hydraulic tank, and the engine. The cab sits on top of the undercarriage. Hydraulic rams are used to manipulate the boom, arm, and bucket. The maximum bucket force is how much force can be applied to the wrist-like motion used in excavation with the largest boom/stick configuration available. The maximum digging depth measure how far down the excavator is able to dig with the boom, stick, and bucket all extended downwards. The operating weight of an excavator is how much it weighs in a normal construction environment. This includes the weight of a typical operator and the weight of fluids like fuel and hydraulic fluid. Reach is how far an excavator arm can be extended. A swamp pad is a large, wooden pad that is used beneath the tracks when the ground is soft. It helps to better distribute the weight of the excavator and prevent the tracks from sinking into the soft ground. Swing refers to the space required for an excavator to rotate. Zero tail swing models do not require any additional space for rotation as the house stays inside the width of the tracks. The swing motor powers the swing, and the swing gears facilitate the swing. The track drive (also known as propel motor, final drive, and track motor) provides the torque needed to move the tracks to propel the machine. 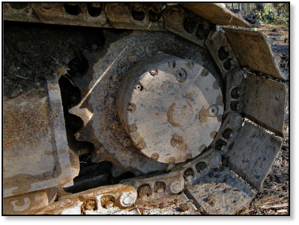 The undercarriage of an excavator includes the following: final drive motors, tracks, track frame, and blade (if included). Wheel excavators have wheels instead of tracks. The term rubber duck is sometimes used for wheeled excavators. Have we left any terms out? Anything that you wish you had known when you first started working with excavators? Tell us in the comments!